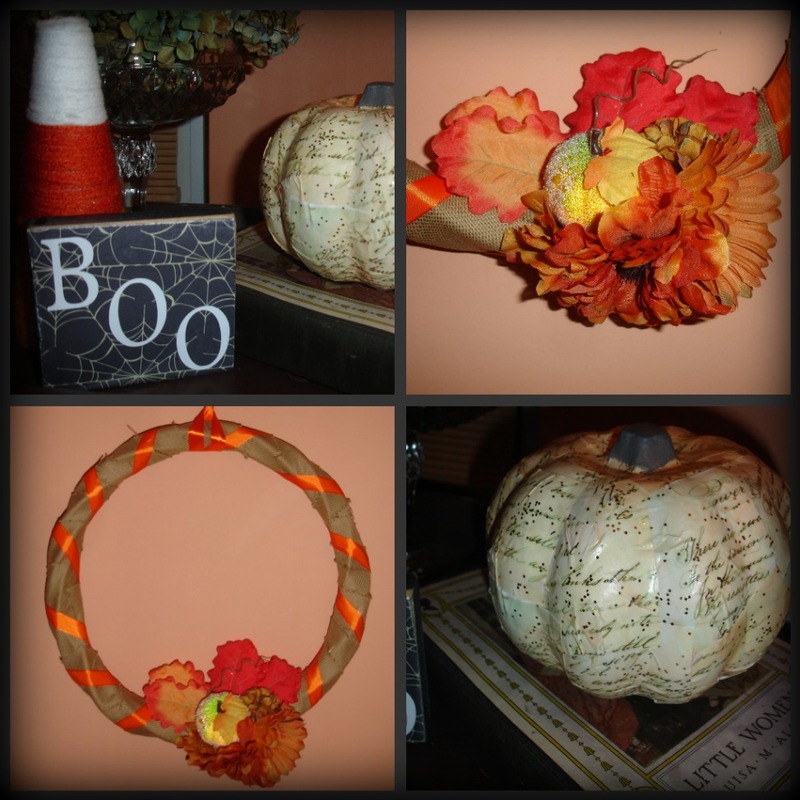 Yarn Candy Corn, "Boo" block, decoupaged pumpkin and wreath made of burlap, fabric flowers, ribbon and an awesome Styrofoam pumpkin! :) The decoupaged (Dollar Tree) pumpkin was done with Mod Podge, glitter, and this awesome Handwritten Letter from The Graphic's Fairy. I absolutely love how it turned out. I've seen Dollar Tree pumpkins decoupaged all over blogland and I really loved them! This one is mine, not for sale at the fair! ;) Maybe I'll make a few more. Everything looks wonderful,the pumpkin is great, hope the fair is a great success. Everything looks so fabulous Evelin! I ADORE the letter pumpkin, so cute! Praying everything you make for the fair, sells, sells, sells! What a wonderful cause. Have a lovely weekend, hope the weather will be great for you! Thank you so much ladies! :) Thanks for following me Vicky! off to check out your blog! Everything is so festive looking! I especially like the decopaged pumpkin! 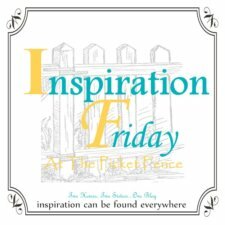 Thanks so much for linking to Potpourri Friday! Your participation is appreciated! I am a new friend and follower, and hope you will be too! Love your pumpkin and treasures! Thanks for sharing at Feathered Nest Friday!